On January 20, 2019, Hulda “Carolyn” Midgett Johnson, 87, of Manteo, NC finished her race of life and joined her Lord in heaven. She was born on December 11, 1931, to the late George and Beatrice Midgett. Carolyn was known for her love of people and her servants’ heart. She never knew a stranger. She was a member of Manteo Faith Baptist Church where she enjoyed worshiping with fellow believers. Always proud of her large family, Carolyn enjoyed nothing more than spending time with the people she loved. In addition to her parents, she was preceded in death by her husband, Ivey Johnson, Sr.; daughter, Annette Blowe; son, Richard Johnson; grandson, Sheldon Johnson; brothers, Sheldon, Claude, Jackson, and Ronnie Midgett; and sister, Laura Jones. 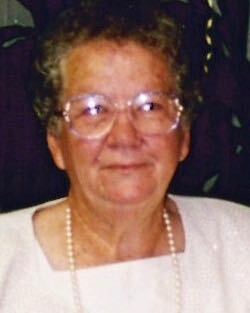 Carolyn is survived by her children, Ivey Johnson, Jr. and wife Ann, George Johnson and wife Debbie, Carol Reese and husband Tim, and Frankie Barrera and husband Bill; daughter-in-law, Cheryl Johnson; son-in-law, Ralph Blowe; 17 grandchildren; 21 great-grandchildren; one great-great-grandchild; brother, Isaac Midgett; sisters, Janet Tillett, Beatrice Robbins, Marty Beasley, and Betty Duncan; and her dear friend, Tina Tran. Her final wish was for her children not to weep, but to be happy for her as she is in the arms of her Lord and Savior, Jesus Christ. A funeral will be held at 11:00 am on Thursday, January 24, 2019, at Manteo Baptist Church. The family will receive friends and relatives on Wednesday evening from 6:00 until 8:00 pm at Twiford Colony Chapel.